We are delighted to extend an invitation to all to join us at the Ecocity World Summit 2017 (opens in a new window)to be held in Melbourne, 12-14 July 2017. Ecocity 2017: Changing Cities: Resilience and Transformation will bring together a diverse mix of researchers, policy makers and citizens with a common focus on identifying and creating pathways to more sustainable, resilient and equitable cities. The early bird registration deadline has been extended to 28 April 2017. 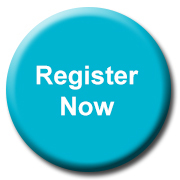 Register now (opens in a new window)and enjoy considerable early bird savings! 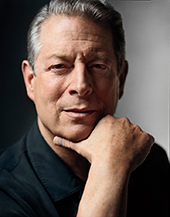 We are delighted to announce that the Hon Al Gore (former US Vice President and current Chair of the Climate Reality Project (opens in a new window)) will be the Principal Speaker at the Ecocity Summit 2017. Mr Gore will deliver his famous slide presentation including his insights on the role of cities in meeting the global climate challenge. The involvement of Mr Gore will further strengthen the potential for the Melbourne Ecocity Summit to play a crucial role in accelerating global climate change action by cities and sub national governments. We look forward to providing additional exciting announcements about the Melbourne Ecocity Summit program and speakers early in the New Year – and encourage you to register at www.ecocity2017.com (opens in a new window). An impressive faculty of keynote speakers have been arranged to lead the discussion. Dr Kate Auty was appointed the ACT Commissioner for Sustainability and the Environment in 2016. Before accepting this appointment she was the Victorian Commissioner for Environmental Sustainability (2009-2014) and the Chair of the Ministerial Reference Council on Climate Change Adaptation (Victoria 2008-2010). 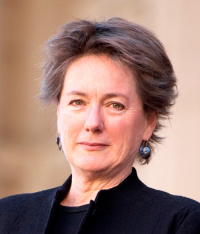 She has previously held positions as a Vice Chancellor's Fellow with the University of Melbourne (2014-2017), a City of Melbourne Ambassador in the development of the Future Melbourne Plan 2026 with a portfolio responsibility in climate change (2016), and as a magistrate in Victoria and magistrate and mining warden in Western Australia. Current boards and advisory roles include – director on the board of the ReScope Project and the McPherson Smith Rural Foundation; member of the Advisory Board to AURIN; and member with the MDBA ACSEES. When she accepted the role of Commissioner in the ACT Kate relinquished advisory roles with La Trobe University in Research Focus Areas involving sustainability, transformation of cities and in respect of water and agriculture. 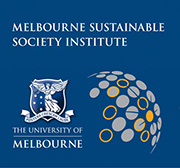 She also relinquished the role as chair of the advisory board to NeCTAR, and more recently she stepped down as chair of the Melbourne Sustainable Society Institute (University of Melbourne). 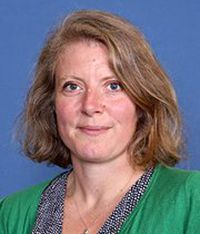 Harriet Bulkeley is a Professor of Geography, Durham University. Her research focuses on environmental governance and the politics of climate change, energy and sustainable cities. Her recent books include An Urban Politics of Climate Change (Routledge 2015) and Accomplishing Climate Governance (CUP 2016). She is currently researching the politics and practice of smart grids in the UK, Australia and Sweden and with the JPI Urban Governing Urban Sustainability Transitions project working on urban living laboratories. Harriet has undertaken commissioned research for the European Commission, UN-Habitat and the World Bank. In 2014, she was awarded the King Carl XVI Gustaf's Professorship in Environmental Science and a Visiting Professorship at Lund University, Sweden. Senator for the Loire-Atlantique Region, France, and UCLG spokesperson for climate. 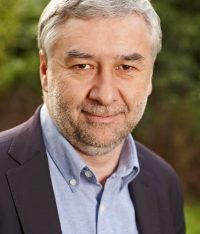 Elected to the French Senate for the Loire-Atlantique region in September 2011, Ronan Dantec is Vice President of the Sustainable Development and Land Planning Commission. Furthermore, Ronan Dantec is the spokesman for the international organization 'United Cities and Local Governments' (UCLG) in the international negotiations on climate. He was in charge of a parliamentary mission on the role of local and regional authorities in climate negotiations to prepare for the upcoming Paris Climat 2015 Summit, which was presented in September 2013. He co-chaired the organization of the World Summit Climate and Territories, hosted by the Rhône-Alpes Region on 1st-2nd July 2015 in Lyon. He is chairing the organisation of the Climate Chance Summit to be held from 11-13 September 2017 in Agadir, Morocco. Vice President of Nantes Metropole, in charge of the climate plan from 2001 to 2011, he actively supported the dossier « Nantes, 2013 Green Capital of Europe. 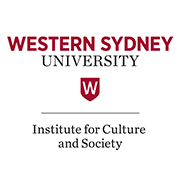 Katherine Gibson is a Professorial Research Fellow in the Institute for Culture and Society at the Western Sydney University. She is an economic geographer with an international reputation for innovative research on economic transformation and over 30 years' experience of working with communities to build resilient economies. 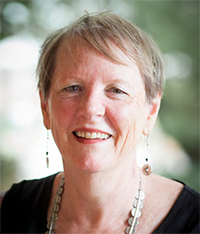 As J.K. Gibson-Graham, the collective authorial presence she shares with the late Julie Graham (Professor of Geography, University of Massachusetts Amherst), her books include The End of Capitalism (As We Knew It): A Feminist Critique of Political Economy (Blackwell 1996) and A Postcapitalist Politics (University of Minnesota Press, 2006). Her most recent books are Take Back the Economy: An Ethical Guide for Transforming Our Communities, co-authored with Jenny Cameron and Stephen Healy (University of Minnesota Press, 2013), Making Other Worlds Possible: Performing Diverse Economies, co-edited with Gerda Roelvink and Kevin St Martin (University of Minnesota Press, 2015) and Manifesto For Living in the Anthropocene, co-edited with Deborah Bird Rose and Ruth Fincher (Punctum Press, 2015). 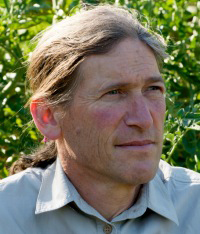 David Holmgren is best known as the co-originator of the permaculture concept. He and his partner Su Dennett live at "Melliodora" in Hepburn, Victoria, one of the best known permaculture demonstration sites in Australia. Within the growing and international permaculture movement, David is respected for his commitment to presenting ideas through practical projects and teaching by personal example, that a permaculture lifestyle is a realistic, attractive and powerful alternative to dependant consumerism. As well as constant involvement in the practical side of permaculture, David is passionate about the philosophical and conceptual foundations for sustainability and resilience that are highlighted in his book, Permaculture: Principles and Pathways Beyond Sustainability. It has become the text that is expanding permaculture beyond the garden and farm to redesigning our lives in ways that reflect ecological realities. His more recent work Future Scenarios: How Communities Can Adapt To Peak Oil and Climate Change outlines energy descent futures that could emerge over the next few decades. His latest work Retrosuburbia; A Downshifters Guide to a Resilient Future shows how the residential landscapes of our cities and towns can be transformed for the better by the residents. David Holmgren provides leadership with his refreshing and unorthodox approach to the environmental issues of our time. Andy Merrifield is an independent scholar, urbanist and writer. He received a PhD in geography from the University of Oxford in 1993, where he was supervised by David Harvey. 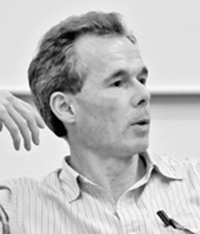 Merrifield is the author of many books including The Politics of Encounter (2013), Magical Marxism (2011), Dialectical Urbanism (2002) and Metromarxism (2002). In addition, he has written several intellectual biographies on key thinkers such as Henri Lefebvre, Guy Debord, and John Berger; a popular meditation on slow travel (The Wisdom of Donkeys, 2008); as well as numerous articles and essays on urbanism, art, literature and politics. Merrifield refers to himself as magical Marxist, and while his scholarship clearly bears the imprint of Marxism, his wide interests and library of references makes him an idiosyncratic voice within the urban studies discipline. His most recent book The New Urban Question (2014) grapples with establishing new coordinates for urban research and politics under the current conditions of planetary urbanisation. He has a forthcoming book, The Amateur (Verso, 2017), which explores the spirit of amateurism in our age of the professional expert. 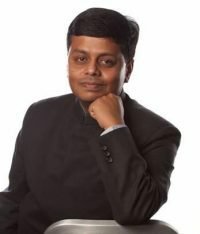 Aromar Revi is the Director of the Indian Institute for Human Settlements (IIHS) and an alumnus of IIT-Delhi and the Law and Management schools of the University of Delhi. He is an international practitioner, researcher and educator with over 30 years of interdisciplinary experience in public policy and governance, political economy of reform, development, technology, sustainability and human settlements. He is co-chair of the UN Sustainable Development Solutions Network (SDSN) and of its Urban Thematic group where he led a successful global campaign for an urban Sustainable Development Goal (SDG) for the UN. He represents SDN on the Managing Board of Cities Alliance the global partnership for sustainable cities and urban poverty reduction. He has led over 100 major research, consulting & implementation assignments in India and abroad; has published over 65 peer reviewed publications and books; lectured & taught at over 35 of the world's leading Universities and think tanks across 6 continents; helped structure, design & review development investments of over $ 8 billion; worked on 3 of the world's 10 largest cities; across all of India's 29 states and in multiple international projects in half a dozen countries. 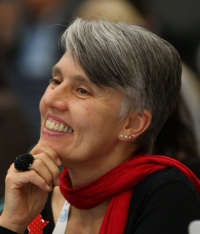 Dr Debra Roberts is a Special Adviser on Climate Change to Global Executive Committee, ICLEI Local Governments for Sustainability and head of the Sustainable and Resilient City Initiatives portfolio in eThekwini Municipality (Durban, South Africa). Prior to taking up this post she established and managed the Environmental Planning and Climate Protection Department of the same municipality for 22 years (1994-2016) and was selected as the city's first Chief Resilience Officer in 2013. Dr Roberts was a lead author of Chapter 8 (Urban Areas) and a contributing author to Chapter 12 (Africa) of Working Group II of the Intergovernmental Panel on Climate Change's (IPCC) Fifth Assessment Report and was elected as Co-Chair of Working Group II for the IPCC's sixth assessment cycle in 2015. She was a member of the South African United Nations Framework Convention on Climate Change (UNFCCC) negotiating team until December 2015. Dr Roberts is a member of the Future Earth Engagement Committee and is also an Honorary Professor at the University of KwaZulu-Natal in the School of Life Sciences. John is the Chair of Melbourne Water, which is responsible for Melbourne's water supply and sewerage treatment and the rivers and catchment around Melbourne. John also chairs the Australian Building Codes Board, which develops Australia's building codes and standards. He also chairs the Peter Cullen Water and Environment Trust and has been President of the Australian Centre for the Moving Image (ACMI) and a director of the Australian Green Building Council. He is a Co-Chair of the Leadership Council of the UN Sustainable Development Solutions Network ("SDSN") launched by the Secretary General of the UN to provide expert advice and support to the development of the 2030 Sustainable Development Agenda and the Sustainable Development Goals. In 2013, John was named as one of the 100 Global Sustainability Leaders by ABC Carbon Express. 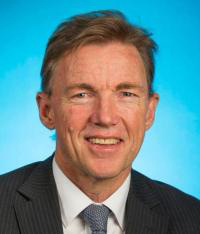 From 2012-2013, John was Chair of the National Sustainability Council, an independent Council appointed by the Australian Government, which produced the Sustainable Australia Report in 2013. John has provided extensive advice to the Australian, state and local governments on climate, environmental and water issues and been appointed to many government advisory bodies. John was Deputy Premier of Victoria from 1999 until his retirement in 2007. During this period he was Minister for Health, Minister for Planning, Minister for Environment, Minister for Water, Minister for Victorian Communities and Victoria's first Minister for Climate Change. In these portfolios he was responsible for major reforms in social policy, health, environment and water. He has degrees in Law (Honours) and Science from Monash University. He is a Fellow Australian Institute of Company Directors. Rachmat Witoelar is the Indonesian President's Special Envoy for Climate Change. He held a position as the Indonesian Minister of Environment (2004–2009), and the Executive Chair of the Indonesian National Council on Climate Change (2010-2014). His work in the area of environment and climate change issues has led him to head the Indonesian delegation to the Conference of Parties (COP) of the United Nations Framework Convention on Climate Change since COP11 in Montreal in 2005, until COP22 in Marrakech in 2015. The President of the United Nations Environment Programme Governing Council (2005-2007). The President of COP 13 of the United Nations Framework Convention on Climate Change (2007-2008). The President of COP 9 Basel Convention on the Control of Transboundary Movements of Hazardous Waste and their Disposal (2008-2009). 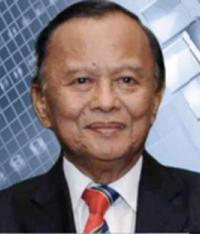 Rachmat Witoelar was Indonesia's Ambassador to the Russian Federation, Kazakhstan, Turkmenistan and Mongolia (1993–1997) and had a long tenure as a member of the Indonesian Parliament (1971-1993). He graduated as an architect from Bandung Institute of Technology (ITB) in 1971. He is currently an Adjunct Professor in Environmental Management from Griffith University, Australia. Through Mr. Witoelar's dedication to teaching and public outreach on climate change and sustainable development issues, he was awarded honorary professorships from Udayana University and Hasanuddin University in Indonesia. Mr Witoelar is frequently invited to speak at several international events such as the International Conference on Sustainable Development at Columbia University in the City of New York, Innovative and Climate Smart Cities organized by the Asia Society Forum, and Walk21 Conference on Walking and Livable Communities in Hong Kong. Rachmat Witoelar is the Head of Advisory Team for URBAN LEDS program at ICLEI Indonesia, as well as the member of the Advisory Team for Adipura Award, clean-and-green-city environment award. The team evaluates hundreds of cities annually. He received a Medal of Highest Honor from the Government of Turkmenistan as well as Award and Decoration from The Indonesian Government, namely the Satya Lencana Penegak and Mahaputra Adipradana. The summit will be held at the Melbourne Convention and Exhibition Centre, superbly located right in the heart of Melbourne on the edge of the Yarra River.